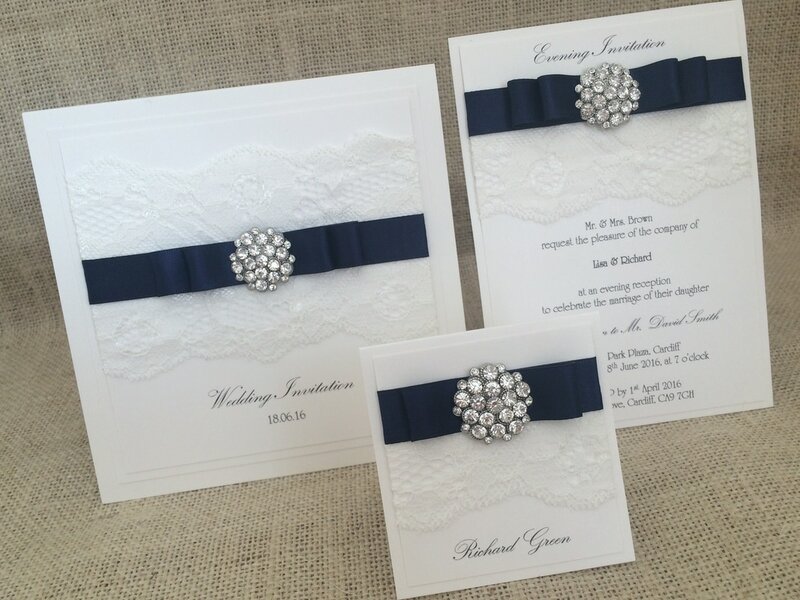 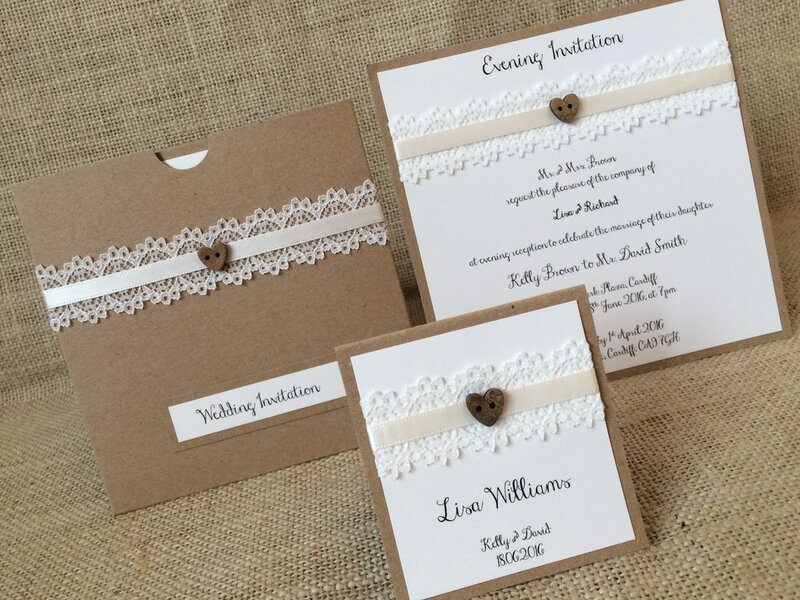 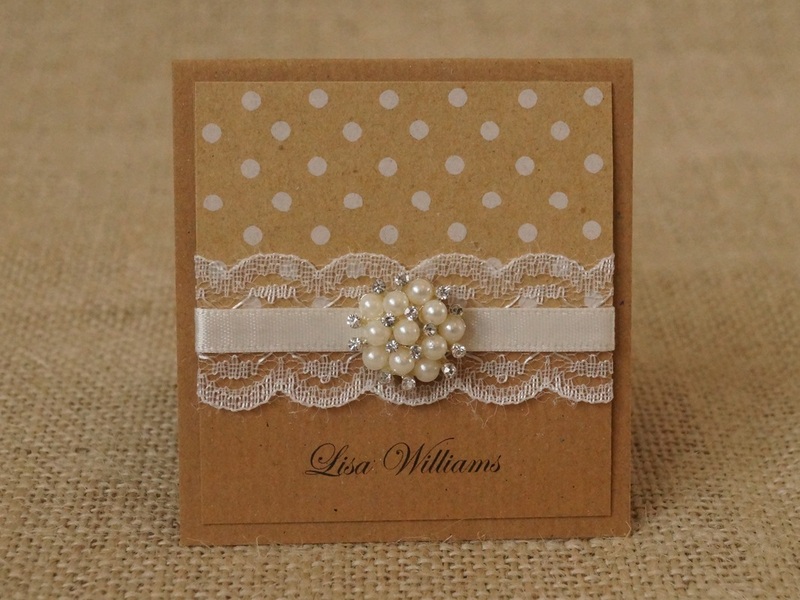 The 'Polka' design features delicate lace, with a thin band of luxurious satin ribbon placed over a polka dot pattern and finished with a beautiful pearl embellishment. 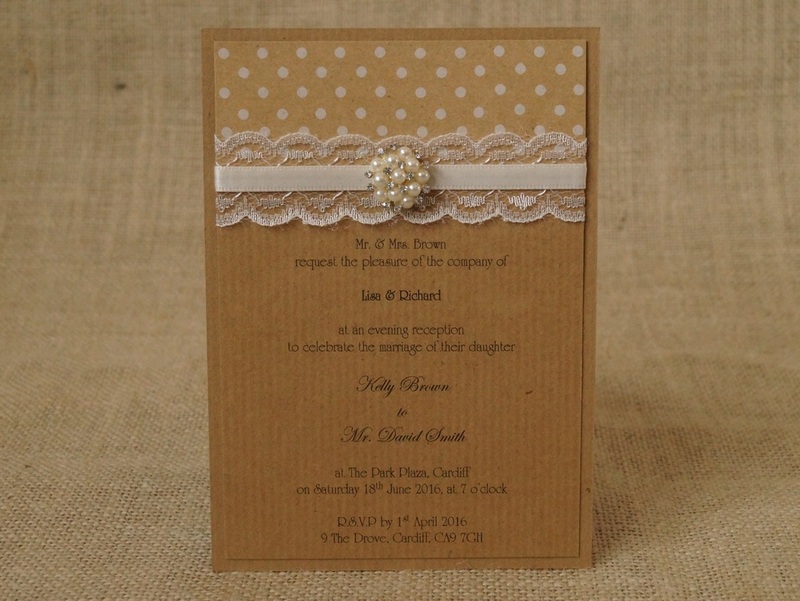 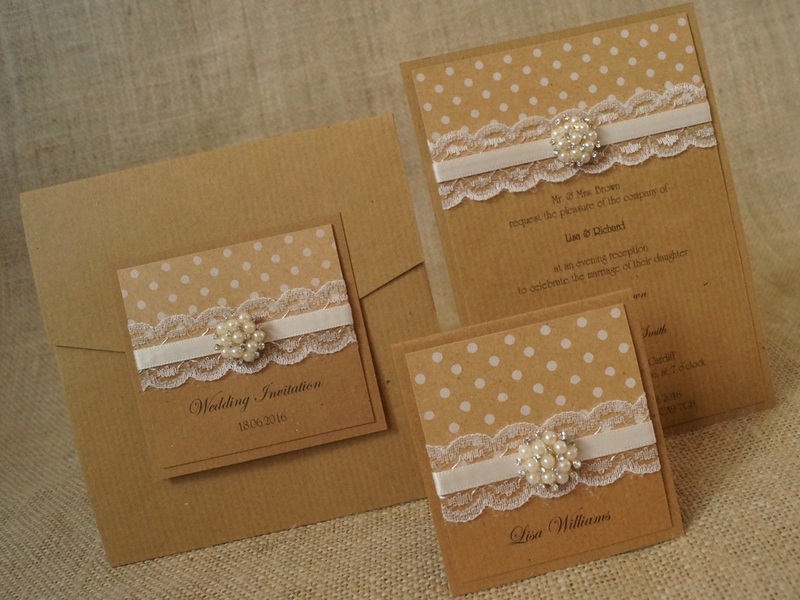 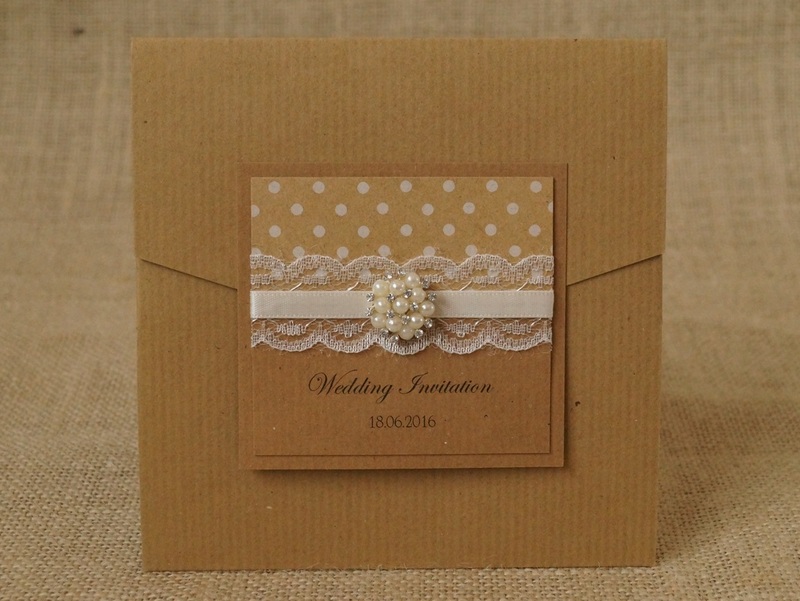 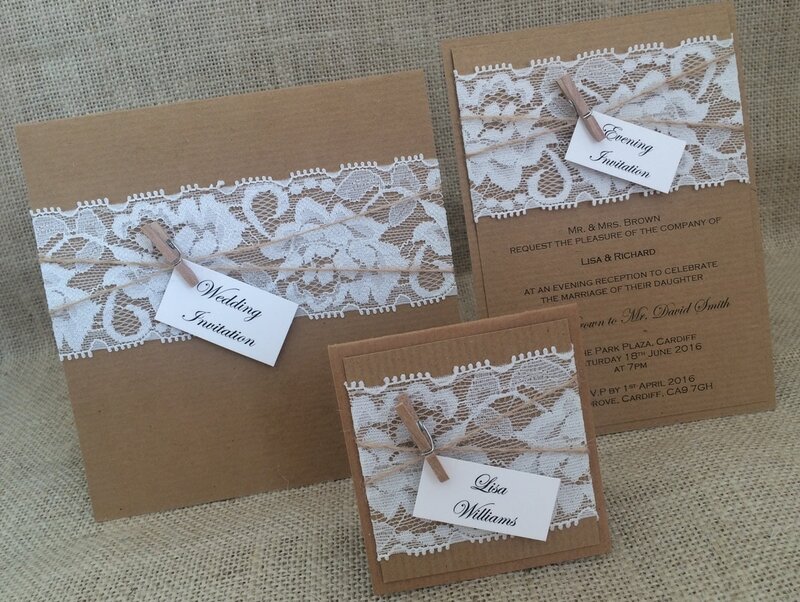 The polka dot pattern is also available in other colours other than Kraft brown recycled card as shown here. 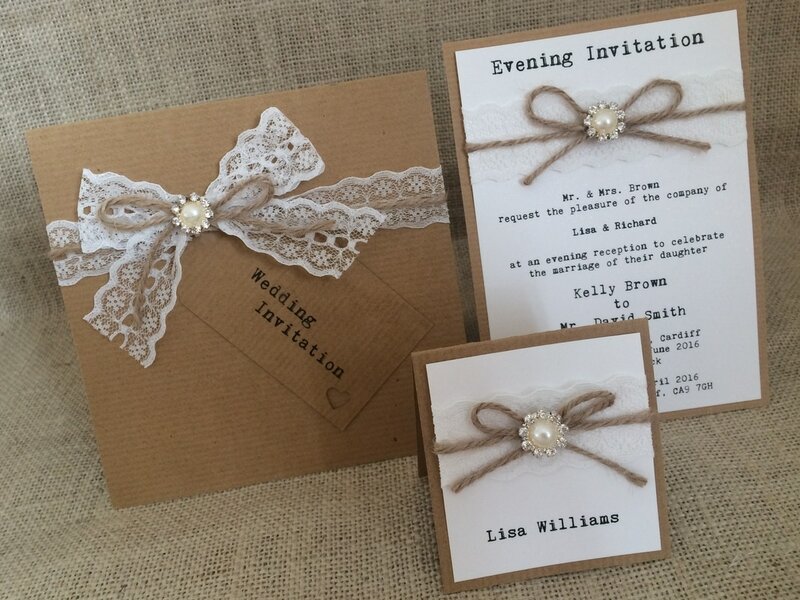 Please see the link below for more photos.